here are a couple i used to own! 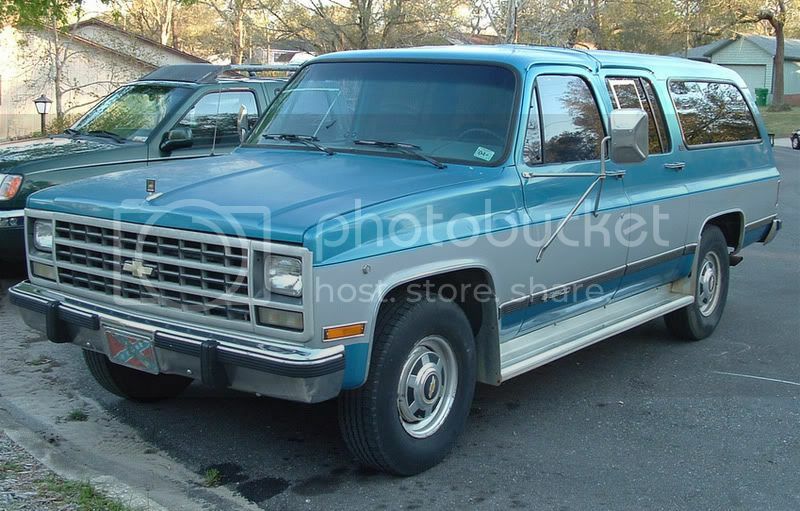 This is my old '82 2wd Blazer. Sold it a few years ago. Hmmmm thought I was in this one already lol. Anyway here is the info. 1975 Jimmy, mild 350 about to be completely gone through and customized.....as long as the money holds out Also a photoshop version someone here did for me. 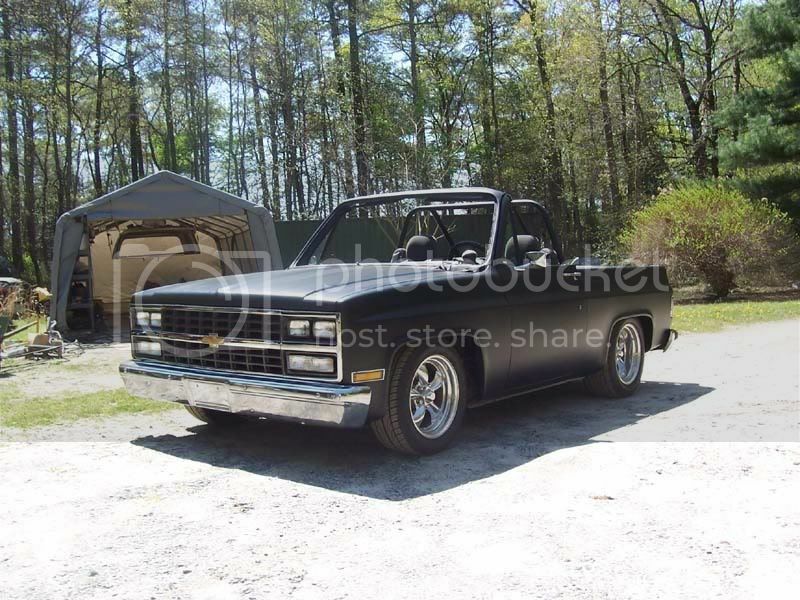 Thats an older picture with some Budnik Mercury 5's, 17x11 rear 17x8 up front. I just like the quality of that photo so decided to post it here are some interior shots. My new truck. 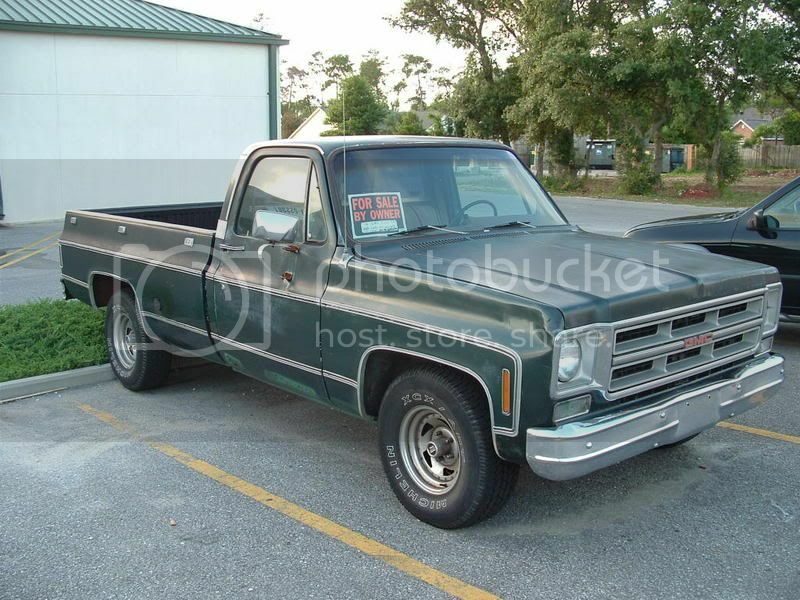 1979 GMC Jimmy , Goodwrench 350,700R4, '99 Tahoe Seats, Trailering Special. Found the original truck handbook with original dealer and buyer information in it, at the last page found the build sheet with all the RPO options. Just shipped in from Los Angeles to Auckland , New Zealand ( Down Under ) I'm a lucky man!! Here's my 80 2wd Blazer. The engine is out and almost ready to install replacement engine. I have added new tires since the picture was taken. 275/60/15's No more whitewalls. Last edited by Big Block; 07-14-2006 at 08:09 PM. They look like Boyd Coddington Magneatos to me. Here is my '73 2wd. Short term plan is a new gas tank, back seat, new doors and a drop. Long term plans are all new sheetmetal, fuel injected motor and an overdrive trans. Last edited by Baseball0684; 01-28-2007 at 03:15 AM. 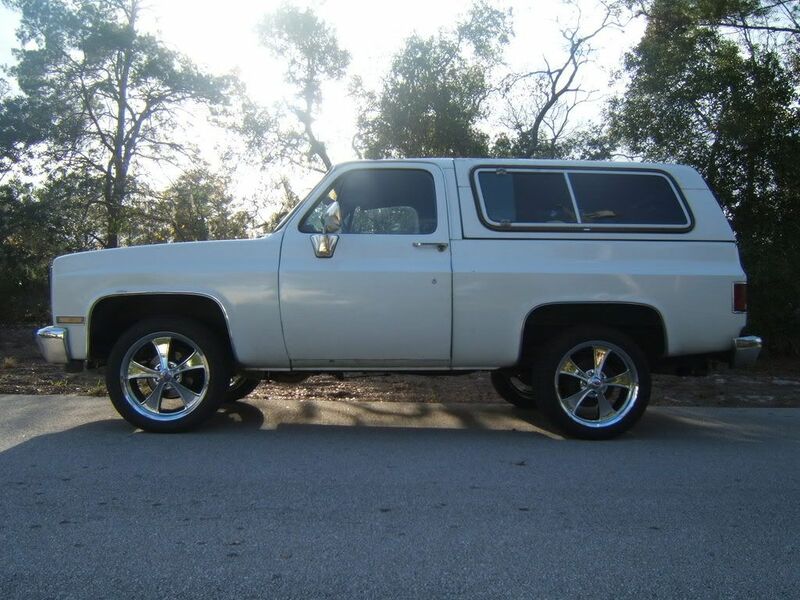 Here is a old pic of the blazer when I first finish it 5 years ago. I had to scan it so it is not the best. Hope you like it.. Here is my 79 2wd. Built it back in 1995/96. 383 stroker, vortec heads, 700 trans. Shaved emblems , handles etc. a/c tilt cruise... fun driver, but a little too low at times. Cool ride, do you have more pic's of it in and out. if you do post more. Thats all I have online... I will have to get some interior shots this summer. Its in storage now for the winter. Last edited by screwballl; 02-09-2007 at 12:32 AM. Here's mine, '73 with a tired 454. I want to build a prerunner out of it, but it's third in line after the '67 Camaro and '66 Burb. I may never get to it. 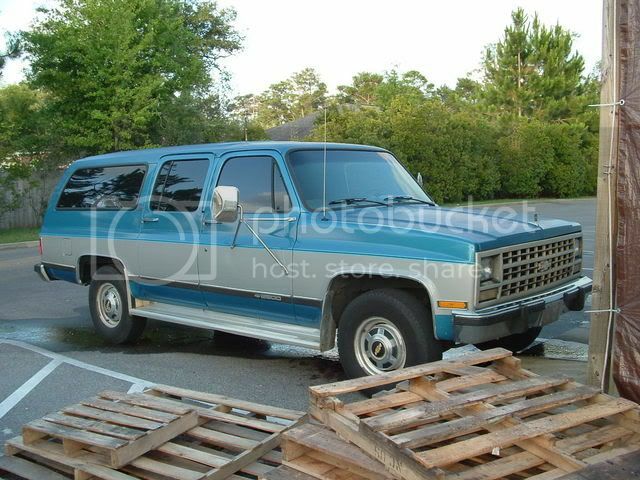 here is my blazer its a 93 has airbags in the front which i am going to take off this weekend. i am putting the 4 wheel system back in . here's my second one, its my project just bought it 2 weeks ago AZ truck. now in Cali. 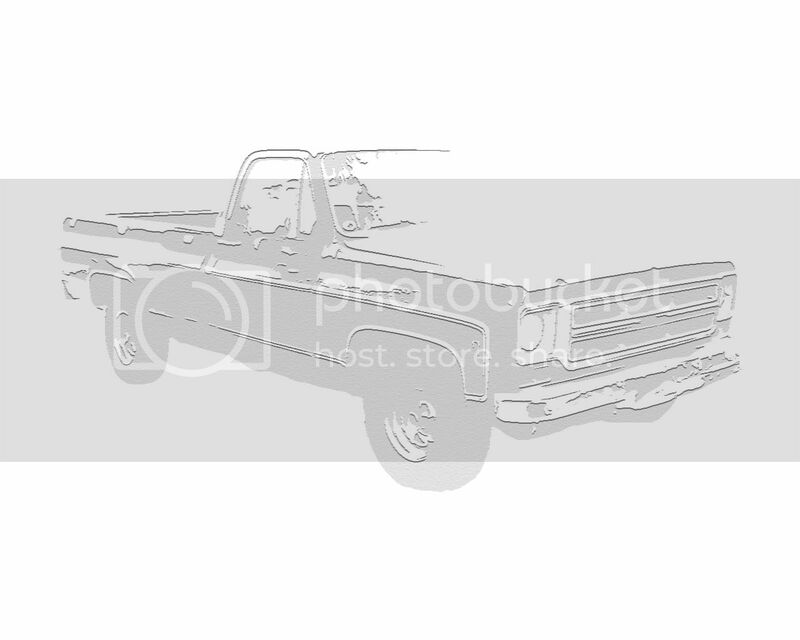 I posted a couple older pictures on page 4 of the truck. since this pic I've put the windshield in and it's been tagged. Here is my ride it use to run!